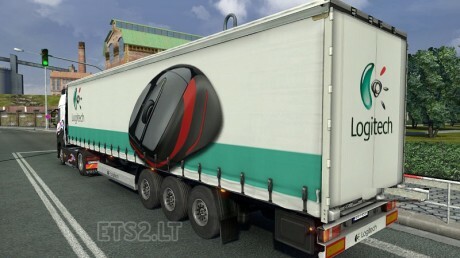 Do you love Logitech? Well then this is the trailer for you. Take delivery of some fancy gadgets and delivery them to the rest of the world. This trailer mod has been tested by our staff and has tested without major problems. It should be noted however, that conflicts can happen with this mod if your are using another trailer modification mod. This mod was tested with newer versions of the game with no reported problems. Current time: 04-23-2019, 05:03 PM Powered By MyBB 1.8.20, © 2002-2019 MyBB Group.